... The story of an artist, recounted with personal candor, detail, and insight by her husband, son, and daughter. 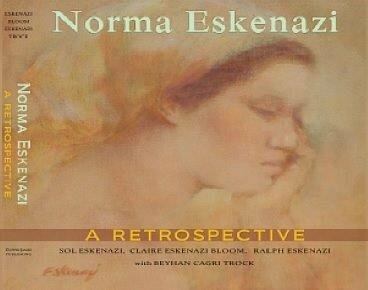 Their intimate descriptions of Eskenazi’s challenges, inspirations, and triumphs are enhanced by superb reproductions of her drawings and paintings. This beautiful volume is one you will return to often. It is a must have for your personal art book collection. -Carole Glauber, photographer, photo-historian and author of Witch of Kodakery: The Photography of Myra Albert Wiggins 1869-1956.